Journals and Diaries, leather covers, hard cover and spiral notebooks, at wholesale prices. 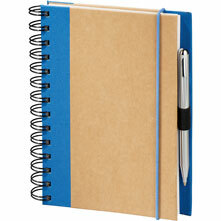 JournalsDiaries.com Leather journals & diaries, hard cover spiral notebooks, at wholesale prices! We encourage you to shop the Internet; we are sure that you will not find better values. Journals and diaries, personalized leather, hard cover and spiral notebooks, at wholesale prices. We can deboss your initials on a leather diary, silkscreen your corporate logo on a board journal, or put digital full-color artwork under a clear poly cover. Please click on a navigation link or one of the images for details and more journal ideas. We have been in business since 1990, and we pride ourselves on providing customers with the best-quality custom journals, legal pads, note pads, scratch pads, journal book refills and prayer journals. Our journals can be personalized with your business, church or school logo on the covers or on each sheet. Advertising your organization with custom journals or note pads is a great way to promote your group, and these journals make great gifts. Whether you are looking for a single item or over 1,000 items, we can keep the cost down to fit your budget. Gold foil stamping, silver foil stamping or blind embossing are some of our popular imprinting options. Wire bound journals and diaries with colorful decorations or custom images are always popular for gift giving, as are leather bound journals. Many businesses have used journals for giveaways and for corporate gift giving. Whenever you can add your logo to something useful like a notebook or a journal, you've hit a marketing home run. Yes, a plain journal is useful, but it doesn't send a message about your church, company, school or sports team. When you order custom journals, you can imprint them with your company logo, slogans or even full-color images. These journals are great gifts for the holidays or any other time you want to give your employees recognition for a job well done. Cable executives and party planners alike have turned to USA Custom Pad for fast and friendly service for custom journals. We welcome individual orders and provide deep discounts for bulk orders as well. If you want the best image quality and the finest card stock, check out our selection of custom journals. Design a basic medium-sized notebook if you're looking for a low-cost way to get the word out about your company, organization or products. If you're looking for corporate gifts, order leather journals and have them debossed with your corporate logo, or the recipient's name or monogram. If you want to give a promotional item people will use every day, enquire about our wallet-sized custom leather journals. People often write down their deepest thoughts and plans, vent their frustrations, ask for forgiveness and seek understanding about the complex issues of daily living in their private journals. Many people also use prayer journals to record their favorite passages from the Bible or other religious texts. Others give customized or imprinted prayer journals and diaries to commemorate different events in life. For example, if you wanted to celebrate the birth of a new baby, you could give a prayer journal featuring the baby's name and date of birth, along with an image such as an angel. If you wanted to give a new bride a prayer journal, you could have it imprinted with the wedding date, an image of wedding bells and the names of the bride and groom. Many schools and churches order prayer journals for Sunday School students, youth group members, and people interested in furthering their religious studies. There's just something about being able to take a quiet moment to reflect on your life that offers solace to people of all ages and all convictions. And an imprinted journal evokes a sense of pride in affiliation with an organization. Whether you're looking for a single prayer diary or you need us to print 100 for the high school seniors at your church, you can count on USA Custom Pad for affordable prices, easy ordering, exceptional imprinting and speedy delivery. We offer a full line of customized journals and autograph books to meet any budget requirements. Call us today!